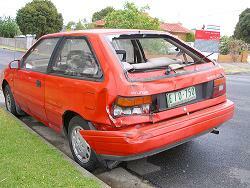 A study found that the median award in rear-end truck accident cases is $93,909. Remarkably, plaintiffs recover damages in 63 percent of rear-end truck accident cases that go to verdict. Why so low? This is the median truck accident verdict, not the average. The average verdict is always going to be higher than the median verdict. We have not seen average rear end truck crash data, but we do know that 12% of the verdicts in rear end truck accident cases are over $1 million. A more pressing question might be how do victims only win 63% of these cases. That is a tough question to answer. Bad lawyers or people unrepresented by counsel? Certainly, defense lawyers representing trucking companies have a lot of tricks up their sleeve but this 63% number makes no sense. Our law firm, Miller & Zois, has never lost a rear end truck accident claim (or any truck accident claim for that matter, while securing millions of dollars for our clients). Okay, so what if you were not in a truck crash, but a car accident. There is not data available that we have seen that shows the average rear end motor vehicle wreck settlement or verdict. You can expect, in general, terms, the value to be less simply because the force of the collision caused by cars is usually less than you see in big rig crash cases. In Maryland, the median - as opposed to average - accident verdict is around $12,000. Which means that most car crash cases that go to trial in Maryland are not serious injury or death cases. So you have to look more to the type of harm as opposed to the mechanism of injury. That's the better test. Juries don't care how the collision happened. They want to know how hurt you are. You can get that information right here. Below are a few sample rear end truck accident verdicts and settlement to give you some idea of how lawyers and juries are valuing these cases. Do not extrapolate too much from these examples. The axiom "every case is different" really does apply here. But while there is no predictive value, looking at verdicts and settlements does give you a deeper lens into the possible range of outcomes for a particular case, particularly when used in conjunction with other case evaluation tools. 2015, Michigan: $1,365,000 Settlement: A soon-to-be-married couple is driving on the highway when their car experiences a mechanical failure. They turn on their hazard lights and begin to slow down. A semi-truck quickly approaches from behind and slams into their vehicle. The car immediately catches fire and is pushed along the interstate. Unfortunately, both occupants succumb to their injuries, prompting their estates to file a wrongful death suit against the trucking company. They allege that the driver was not paying attention and did not even realize when he struck their vehicle. The driver admits to not being attentive, meaning the only issue is damages. The parties agree to a $1,365,000 settlement. 2014, Virginia: $920,000 Verdict: A 57-year-old information analyst is driving along I-66 in Virginia when traffic begins to slow. A tractor trailer rear-ends her vehicle with the front of the truck entering the back seat of the woman’s vehicle. She suffers a traumatic head injury and a mild brain injury in addition to soft-tissue damage to her body. When she sues the trucking company, they allege that she pulled out in front of the truck, thus causing the accident. Eye-witnesses refute that claim, and the defendants are determined to be at fault. After a four-day trial, the jury returns a verdict for the plaintiff for $920,000. 2014, Maryland: $743,000 Verdict: The passenger of a small SUV decides to reach for something in the backseat of her car when the driver stops at a red light. At the exact moment that she unbuckles her seat belt to do so, a concrete truck crashes into the back of her vehicle. The force of the impact throws the passenger into the windshield of the SUV, which results in back and neck injuries. She is transported via ambulance to the hospital where MRIs reveal disc herniation and tears. Doctors predict that she will require surgery in the future. She sues the concrete company for negligence, claiming that the truck was traveling too fast and should have slowed down when approaching the intersection. A Harford County jury returned a verdict for $743,000. 2011, Maryland: $750,000 Settlement: A man on a motorcycle was rear-ended by a commercial truck, causing his instant death. This case highlights how in some wrongful death cases in Maryland it's hard to obtain a fair recovery because of the ridiculous cap on non-economic damages. Our law firm, Miller & Zois, handled this case. If you have been seriously injured - we handle only serious injury and wrongful death claims - in a car, truck or motorcycle accident, we may be able to help you. You can get a free online consultation, or you can call 1-800-553-8082.